We also offer a wide range of additional products to parents, family members and friends. 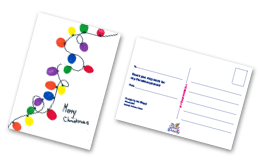 Upon receipt of your final order, the back of each card will include a unique website address which allows parents to order additional products featuring their child’s artwork (please note; names are NOT printed on the website). 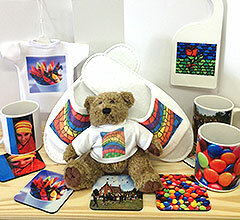 The artwork can be printed on a number of high quality products such as Wrapping Paper, Mugs, Jigsaws, Teddy Bears and much more. The benefits of this system are that parents can order extra gifts and the school still benefits from items bought. Extra items bought are delivered directly to the person ordering. Every product a parent orders will earn 20% of the order value for your school. 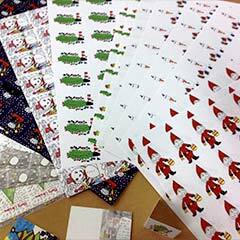 For example, your school earns £1 for each additional £5 pack of cards ordered. This takes the emphasis from the organiser and the parents can order extra products if they want to.